Are you in the retail business? Do you regularly sell goods and services? If so, be sure to download our free simple sales receipt template. Our template is professionally designed and ideal for private individuals or large scale businesses. The template will allow you to provide a professional style sales receipt to anyone that you’ve sold something to. If you’re interested in learning more about this awesome and easy to use template then continue reading. Using the simple sales receipt template is as easy as it gets. First you will need to download the completely free template that is available on this page. The template is fully customizable which allows you to make any required changes in order to meet your own receipt needs. Once you have the template in your possession you can add your company name or logo, your address, email address and your phone number. You can also rename or customize each one of the template cell row titles. 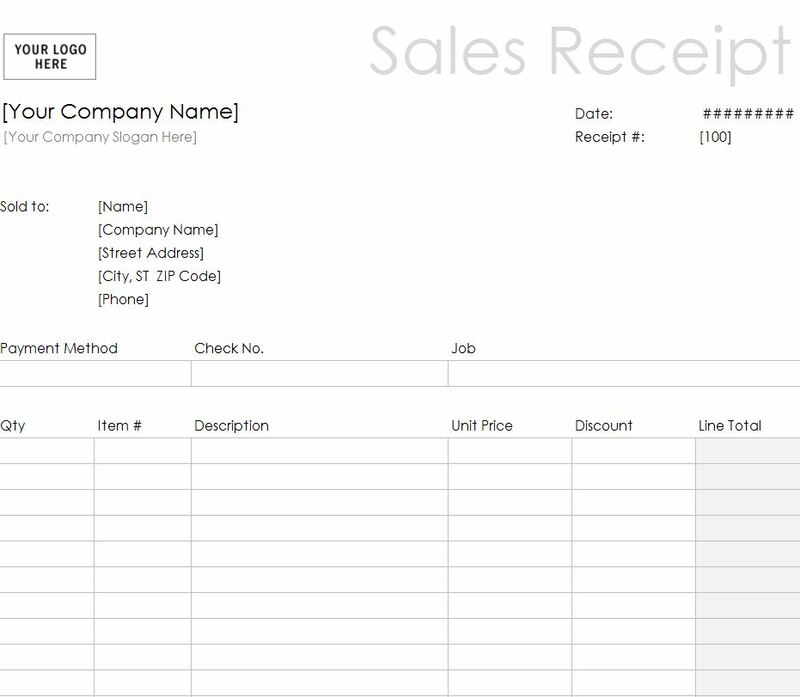 The simple sales receipt template outputs in MS Excel and is compatible with all of the program’s versions. It can be used just like any standard Excel spreadsheet and features all of the same options. Excel is notoriously easy to use even for first time users meaning that you will have no problem whatsoever using or customizing the template. Below is a list of tips that will help you to get the most out of it. Make sure that you fill out the logo section fully as this will give the receipt a very professional look to it. Don’t forget to add your contact information to the template so that the person receiving the receipt can contact you if they have any questions about the information presented in the receipt itself. Be sure to customize the cell row titles that way they will correctly correspond with the information or numerical values listed within the cell themselves. Once you have customized the simple sales receipt template you should back it up on to several different secure media devices for future use. Failing to back it up properly may result in the loss of all of your customized changes and data.